Serendipity. 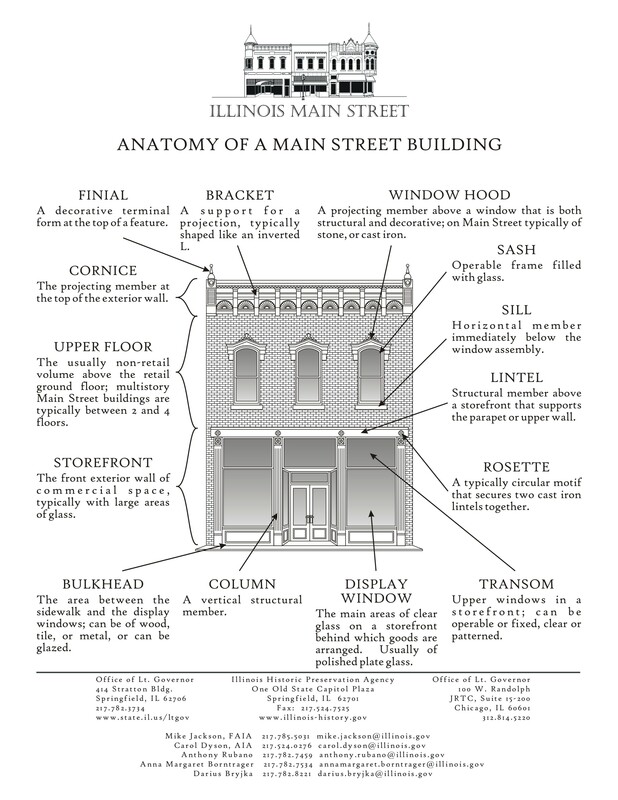 While looking up a story, "These 10 classic, historic Indiana buildings are on borrowed time," in the Indianapolis Star on the 2018 Indiana Landmarks list of the state's most endangered historic properties, I clicked on a what happened to the stores article about the buildings that had once been Double8 Markets, a local African-American small grocer firm. Pogue's Run Grocer Food Cooperative, Indianapolis. 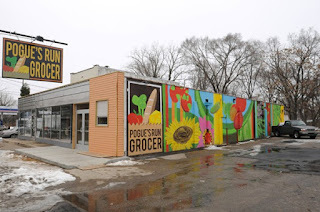 One of the images was for Pogue's Run Grocer, and I am a sucker for murals, so I searched it out. It turns out it's a food cooperative in a food desert section of East Indianapolis. The store has been open for 8 years and spent 4 years organizing before opening ("Pogue's Run Grocer: 5 years of fighting food deserts," Nuvo) and is considering moving to a different but nearby location as part of a development owned by a local community development corporation ("Pogue's Run Grocer explores expansion," Indianapolis Star). PRG is relevant to the piece proposing community health initiatives be integrated into the rebuilding program for the United Medical Center in Southeast DC. That article mentions co-ops and a grocery inside a different hospital in Indianapolis. The PRG website is interesting. They have a blog. The section on suppliers indicates all the vendors they buy from within the state. There is an organization in Indiana called CraftedSpoon, which produces videos on the artisan food movement in that state. Of their 27 videos, one is on Pogue's Run Grocer, and it's quite good. Separately, revitalization initiatives in the Eastside district of Indianapolis leveraged interest, support, and monies relating to the 2012 Super Bowl in that city, and the Super Bowl Legacy Fund, where the NFL puts up a modicum of money to spark local projects as a "legacy" from the event. That included some support for the food cooperative organizing initiative that became Pogue's Run Grocer. It's not much money considering the hundreds of millions of dollars going to the NFL from the event, but it's better than doing nothing. Fortunately, the money from the NFL tends to motivate the local Super Bowl Host Committee to do much more. That was the case in Indianapolis, and also in Minneapolis this year, where the Legacy Fund for this year's Super Bowl game in Minneapolis supported 52 projects, totaling $5.5 million in donations. food desert issues may be attitudinal as a result of income constraints, rather than access based.